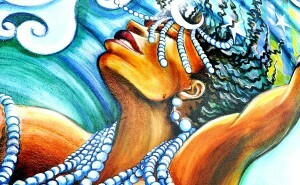 Image of Yemaya, Orisha of the Sea and Motherhood. 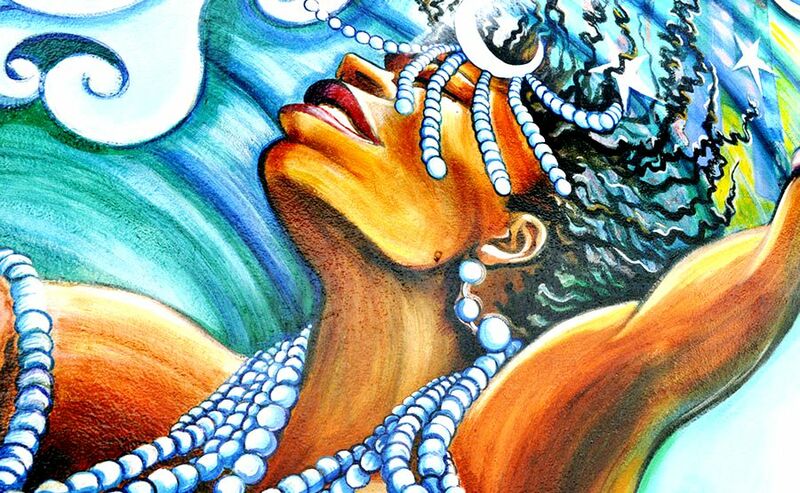 Led by Marie-Claire Mathias, you will be introduced to the beautiful, energetic dances of the Orishas, folkloric deities. In this masterclass you will explore the basic steps and techniques, look at a short choreography, and learn about the rhythm and songs that accompany each specific Orisha and his/her dance. A unique workshop, with live drumming and singing accompaniment, you will enjoy yourself, learn something new, break a sweat and have an experience!